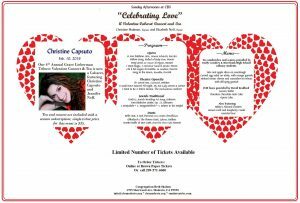 The Fourth Annual Grace Lieberman Tribute Valentine Cabaret Concert and Tea is taking place Sunday, February 10th at Congregation Beth Shalom. Christine Capsuto will be accompanied on piano by Elizabeth Neff and performing opera, operetta, Traditional Jewish songs and duets. Christine has graced the CBS stage in the past; she commands the room with her effortless dramatic vocal prowess, quirky humor, and graceful poise. Grace was the co-founder of Sundays afternoon at CBS. A champion of all the arts with a drive to get other people together to create something amazing. 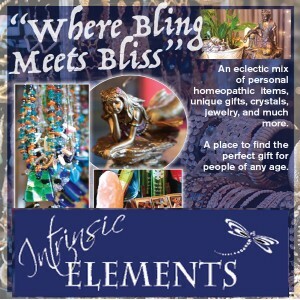 She won the Modesto Area Music Award in 2004. 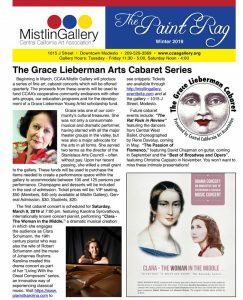 Mistlin Gallery first show in their Grace Lieberman Cabaret series is March 9 at 7:00 pm. Mistlin Gallery Featuring Karolina Syrovatkova performing “Clara – The Woman in the Middle” a dramatic musical creation. Grace Lieberman passed away spring of 2018 and her spirit in the arts community continues to burn bright and we are so happy to see these artistic and heartfelt remembrances. Tickets for both Sunday Afternoon at CBS and the Cabaret Series are available.